Lu Tieh-chou was born into a prestigious family in Daxi, Taoyuan in 1899. He used to study at the Department of Woodworking, Industrial Training Institute under the Taiwan Governor-General Office before inheriting an embroidery shop from his family. In 1928, he enrolled at the Kyoto City Painting School in Japan, and returned to Taiwan in 1930 upon graduation. Lu was extremely successful at the “Taiwan Fine Arts Exhibition.” He bagged the Special Selection Prize with Plums Flowers, and was selected with Okra at the 3rd “Taiwan Fine Arts Exhibition.” With Moon, he was selected for the 5th “Taiwan Fine Arts Exhibition.” With Castor Oil Plant and Chicken, he was awarded the Special Selection Prize at the 6th. At the 7th, he bagged another prize, the Taiwan Fine Arts Exhibition Award, with Southland. At the 9th, he was awarded the Taiwan-Japan Award with Sago Palm. 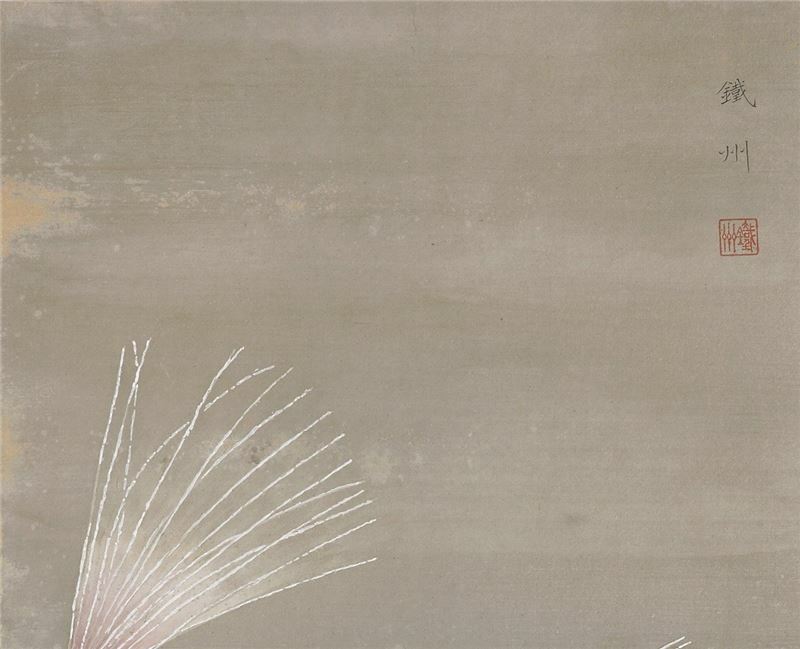 In 1932, “A Hundred Paintings of Lu Tieh-chou” was held in Taipei. Until 1942 when he had passed away, his works were still displayed the fifth “Taiwan Governmental Fine Arts Exhibition.” The paintings of Lu can be categorized according to three periods. Moving from traditional to modern, Lu’s painting career perfectly reflects the development of contemporary painting in Taiwan. 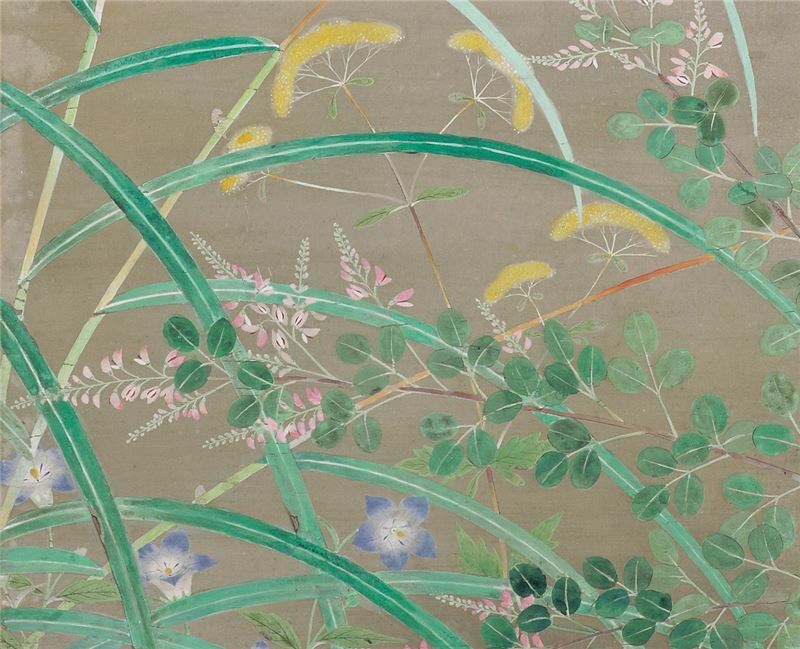 (1) Before 1928: Lu painted traditional literati paintings the most before he went to Japan. 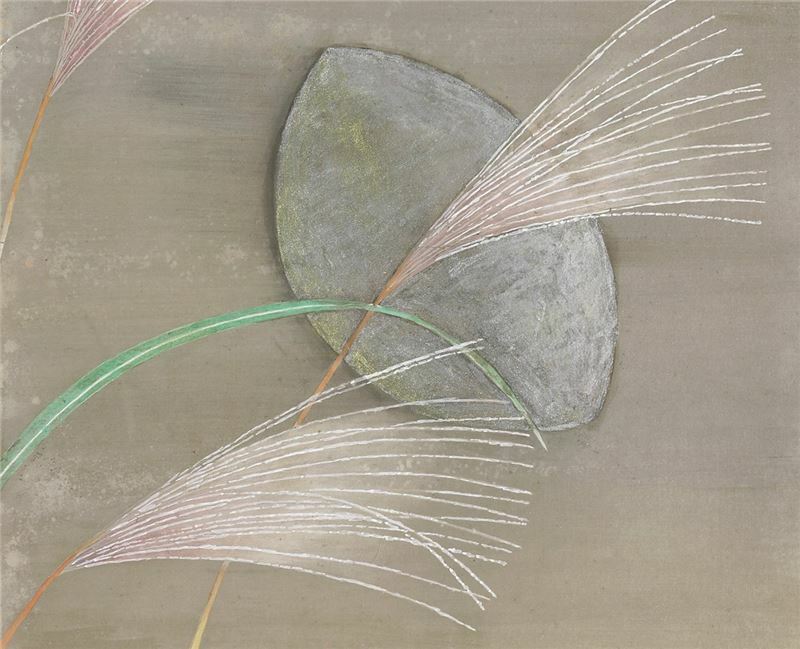 (2) 1929-1936: Lu painted magnificent large-scale paintings of realist flower-and-bird themes. By presenting cultural subjects on the subtropical island of Taiwan in fine details and splendid colors, Lu reached the peak of his artistic career. (3) 1937-1942: As the “Taiwan Governmental Fine Arts Exhibition” was abolished, Lu also turned to small serial paintings instead of large-scale works. Lu became interested in making landscape paintings, such as Junk (ship) and 12 Southland Scenes. In 1927, the Taiwan Governor-General’s Office of the Japanese colonial rule introduced Toyo and western painting to Taiwan through an official arts event entitled the “Taiwan Fine Arts Exhibition.” The “Taiwan Fine Arts Exhibition” reviewers actually encouraged works inspired by the culture of Taiwan. Lu concentrated on both realist “Gonbi” painting and expressive “Xieyi” literati painting even before the “Taiwan Fine Arts Exhibition” was launched. Unfortunately, he failed at the 1st “Taiwan Fine Arts Exhibition” as traditional painting styles were abandoned there. The next year, he pursued further studies in Japan. There he learned with Fukuda Heihachiro (1892-1974), Takeuchi Seiho (1864-1942) and Nishiyama Suisho (1879-1958), who belonged to the Maruyama-Shijouha painting school. Lu received solid trainings in plein-air painting from Fukuda, highly valuing objectivity, realism and a natural style. By learning with Fukuda, Lu successfully transformed himself into a modern painter without “learning and painting by imitating predecessors’ works” like most traditional Taiwanese painters did.